Why is it when I read this my brain keeps shouting Agatha Christie? Is it because of the emphasis on great writing skills rather than gratuitous violence? Is it because like Christie, Elly Griffiths sprinkles little gems of hidden clues throughout the narrative yet at the end you still don’t know who did it? (Well I didn’t J ) Intelligently and succinctly written, I am again reminded of “Golden Age” type mysteries. This is a great read that will keep you guessing to the very end – once you know the ending, maybe like me, you will look back and discover the clues that are gently hidden in plain sight. I hope you enjoy working out this puzzle – I did. What Do You Think Agatha Christie Fans? A “new” Agatha Christie Hercule Poirot book coming out soon penned by Sophie Hannah. 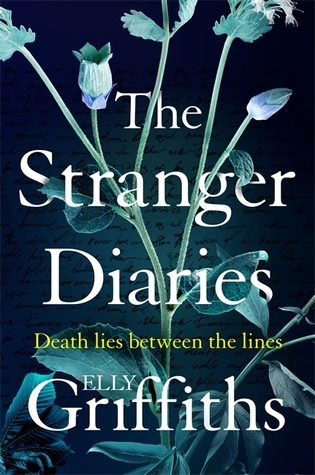 I don’t think I will be reading this one myself but I am really interested in what fans of either Sophie Hannah or Agatha Christie think of this and what readers in general think of this latest bookish trend – continuing on a series after the original writer is dead. One for the lovers of Agatha Christie. It’s 1956, and Lee Plunkett has taken over the family business as a private investigator despite his reluctance to follow in his father’s footsteps. When murder intrudes on a group of ghost seekers, Lee is asked to solve the case by a cop on the verge of retirement. At the urging of his perpetual fiancée Audrey, Lee enlists the help of Mr. O’Nelligan, a scholarly Irishman with a keen eye for solving mysteries. The duo is drawn into a murder investigation involving the “Spectricator,” a machine designed to communicate with the dead. Soon, Plunkett and O’Nelligan are knee-deep in a suspect pool that includes a surly medium, a former speakeasy queen, a mysterious Spanish widow, and a whole slew of eccentric servants. 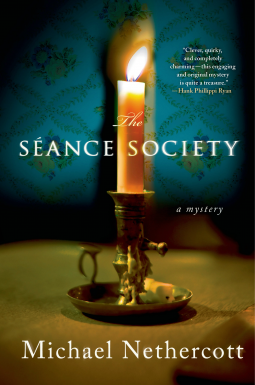 Engaging, charming, and smart, The Séance Society by Michael Nethercott is a fresh take on the traditional mystery genre for readers who love original characters, witty dialogue, and a great whodunit. This is an interesting story, written in the style of the times of the event (the 1950’s); it is genteel, polite, charming and all sleuthing is done without the benefits and gore of modern forensics. To me this writer is paying homage to the late Agatha Christie in his writing style and plot devices; the narrative is a classic “whodunit”, those involved with the murdered man are interrogated, notes are made, the scene of the crime is reviewed and the reader is given clues as to who may have or may not have dunit. Part way through the novel one of the original suspects dies because they have somehow stumbled across the identity of the real murderer or a clue that points to his name (or at least the murderer believes this to be so and thus must silence this person) and finally the entire cast are called together at the scene of the crime, facts of the crime are explained, secrets revealed and the murderer is finally announced! These devices are typical Christie’s style though this novel is set in America, and focuses on the American middle class, not the British. I particularly liked the character of Mr O’Nelligan, the investigator’s associate; he is intelligent, gentle, quotes classic poetry and shows great common sense, wit and humour. He is very endearing and empathetic; his story is interesting and sad. Lee Plunkett is feisty and likable, together O’Nelligan and Plunkett make a great team. Setting this tale in a haunted house is clever, it allows the writer to involve a variety of minor characters; various seers, psychics and other eccentrics aplenty, add to this an interesting story, with a few twists and turns and a solid likable detective team and you have a very decent read that will certainly entertain you.